Trager Water Report is a news and opinion site about water and the environment, focusing on California. It is edited by Susan M. Trager, of SmithTrager, who has more than thirty years of experience in matters involving water law, public agency law, municipal law, right of way acquisitions, environmental law, and eminent domain law, including valuation of water rights. Prior to opening her own practice, Ms. Trager founded Nevada Indian Legal Services and served as a Deputy Attorney General for the State of Nevada on right of way and eminent domain matters. She later joined the water law practice of the late Donald D. Stark, where she represented the City of Los Angeles in the Owens Valley and Mono Lakes water disputes and planning for water acquisition and distribution to The Irvine Company. 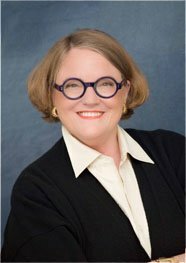 Ms. Trager’s practice specializes in all aspects of water law and related issues, including land use and development as well as complex disputes involving groundwater contamination.